Before clicking the "Agree" button in our membership page, please read the below UAEJJF Terms and Conditions and the Jiu-Jitsu Rules carefully. By clicking "Agree", you will be deemed, for all legal purposes, to have read, understood and accepted, unconditionally the below terms and conditions in addition to the UAEJJF Rules. Members of UAEJJF are those individuals that have paid their annual membership fee to UAEJJF and have agreed to the terms and conditions of UAEJJF. UAEJJF membership does not release the member of other taxes and fees related with UAEJJF events. The membership is valid for one season, it starts on May 1 st of the current year and ends on April 30th of the next year. The membership card entitles the user to the benefits associated with the membership. The membership is not transferable and must only be used by the registered member. Any misuse of the membership will result in the membership being cancelled. Applicants must present accurate information when filling the registration form. Applicants must upload all the documents required in order to complete the registration process. You agree to provide accurate, current, and complete information required to register with UAEJJF and at other points as may be required in the course of using the Service. You further agree to maintain and update your Registration Data as required to keep it accurate, current, and complete. UAEJJF may terminate your membership if any information you provide is false, inaccurate or incomplete. UAEJJF allowed a player to represent any national team as long as the player held citizenship of that country. The regulation concerns players' eligibility to play for the clubs where they reside only. A significant ruling that requires a player to demonstrate a "clear connection" to club they wish to represent. Players are generally not allowed to switch nationalities or clubs. Applicants must present accurate information when filling the registration form. The integrity of sports depends on the players outcome of sporting events and competitions being based entirely on the merits of the participants involved. Any form of corruption that might undermine the integrity of the spirit of sport and subject to severe sanctions. If a contest takes place and seems to have been played to a pre-determined result, violating the UAEJJF rules, further investigation may be undertaken and any findings of match will result in disciplinary action. If in UAEJJF events, an athlete is injured or ill before a competition or contest and needs to withdraw they must have inform to remove from brackets or inform the competition manager. The result of the contest will be cancelled if any athlete is caught not telling the truth. The UAEJJF may undertake further investigation and any findings of match will result in disciplinary action. Members of UAEJJF will receive membership card that will serve as official UAEJJF ID. Members of UAEJJF will be allowed to compete in all UAEJJF events around the world for the period of the membership. Members of UAEJJF will receive special rates and discounts on products. Members of UAEJJF will have database file with all achievements and progress. The personal information stored in UAEJJF system will allow UAEJJF to follow logistics and other matters. Members of UAEJJF agree that will have their personal file showing all competition achievements for collecting quotas and marketing purposes. For security purposes, you must type your membership number ID and password in order to access your page to edit or update personal data. You are solely responsible for maintaining the confidentiality and security of your Account. You are entirely responsible for all activities that occur on or through your Account, and you agree to immediately notify UAEJJF of any unauthorized use of your Account or any other breach of security. UAEJJF will not be responsible for any losses arising out of the unauthorized use of your Account. It is not permitted to use images, texts, sounds, and designs from UAEJJF without authorization. I further understand that tickets will be sold to spectators to watch tournaments; that news media and others will cover the tournaments and that it may also be videotaped or otherwise shown to audiences around the world. I hereby consent to having my likeness shown, publicized, commented and/or reported on; and I do not expect to, and in fact waive any rights and compensation I might otherwise be entitled to as a result thereof. Violate the agreements stated in this page. Be a part of activities and actions which will be damaging to the UAEJJF administration. UAEJJF and/or International Organizers will not be held responsible for any physical injury/damage or material damage that may occur during events organized by UAEJJF. UAEJJF and/or International Organizers will not be held responsible for any physical injury/damage or material damage that may occur during events organized by associations, academies, or organizers, affiliated to UAEJJF. I represent that I am in good health; that I am not presently, nor will I participate of any tournament while under the influence of any drug or medication; that no one affiliated with this organization has encouraged me to enter or made any representations regarding my fitness or ability to participate; that I have read and understood every provision of this release; and that I am legally competent to and freely enter into this waiver, release and assumption of risk agreement. UAEJJF has the right to alternate or add to these Agreements at any time without member’s permission. 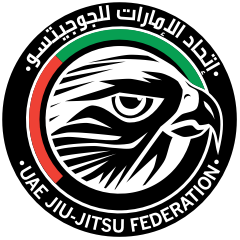 UAEJJF has the right to terminate the membership of any member who violates the agreements stated by UAEJJF or by the decision of UAEJJF directory.